Ensure Food Security and also to make Agriculture a Sustainable and viable vocation for livelihood support by 2020. To achieve the targeted growth rate of 4.5% in the agriculture sector by enhancing agriculture production and improving the income level of farmers by successful implementation of various state and central schemes. To develop excellent globally competitive human resource for sustainable agriculture development. To effectively conserve, develop natural resources and their sustainable use. Ensuring food and nutritional security by increasing production and productivity. Generation and transfer of technology. Monitoring and evaluation of schemes. Bangalore Rural District comes under zone 5. District consists of 4 talukas. 17 Raita Samparkar Kendras are functioning through which all the departmental programmes are being implemented. District normal rainfall is 809 m.m mainly distributed in the month of May & September. an area of 54484 ha. in Kharif, 1931 ha. in Rabi & 591 ha. in Summer. In our district Ragi is majorly grown followed by fodder maize, redgram, cowpea, fieldbean and other crops. For overall development of Agriculture sector the following schemes have been implemented. In addition to the programmes under Rice, Pulses and Commercial Crops (Cotton and Sugarcane), NFSM- Coarse Cereals has been divided into two parts namely Coarse Cereals(covering Maize and Barley only) and sub mission on Nutri-Cereals which includes Jowar, Bajra, Ragi and other small millets (Kodo Millet, Barnyard Millet, Proso Millet, Foxtail Millet and Little Millet). Apart from increasing the production of paddy and pulses, it has been planned popularise and encourage cultivation of Nutri-Cereals. Under this scheme provision has been made for 100Ha. area cluster demonstrations on improved production technologies and Cropping Systems, distribution of improved varieties seeds, inputs for Integrated Nutrient and Pest Management, Agricultural machinery, Pump sets, Drip irrigation sets and pipes for carrying water under subsidy and organization of trainings.For the first time in the state, the incentives will be directly transferred to the farmer’s account for promoting adoption of improved technologies especially in Paddy, Pulses & Oil seeds with an intention to increase production and reduce the cost of cultivation & incentives will also be given to technology promoters. The Department of Agriculture is implementing centrally sponsored National Mission on Micro Irrigation to facilitate all categories of farmers especially small and marginal farmers to install micro irrigation units at lowest capable price in order to increase water use efficiency and thereby increase the production and productivity. In order to emphasize judicious and efficient use of water, sprinkler and drip irrigation units will be distributed at 90% subsidy. Soil Health Card Scheme is proposed for periodic testing of soil and to recommend nutrient management, to issue soil health cards every 3 years in respect of all landholdings in order to capture the soil fertility changes occurring due to plant uptake or other natural causes. More attention is required on the follow up measures on the soil nutrient deficiencies identified in soil health cards. Along with soil health cards that diagnose fertility related constraints small and marginal farmers need technical support to apply site specific fertilizer recommendations. Paramparagat Krishi Vikas Yojana (PKVY) is a sub-component of Soil Health Management (SHM) scheme under National Mission of Sustainable Agriculture (NMSA), which aims at development of models of excellence, ensure long term soil fertility buildup, resource conservation and offer safe and healthy food without the use of agro-chemicals. It also aims to empower farmers through cluster approach, input production, quality assurance, value addition and direct marketing through innovative means. The objective of this programme is to increase production and productivity of oilseeds, through the purchase of breeder seeds, for production of foundation seeds, distribution of certified seeds of pulses and oilseeds and infrastructure development. Under this Scheme, funds have been provided for incentivising Certified/HYV seeds supply to farmers, Agriculture Mechanisation, Enhancement of Soil Health, Watershed activities, Strengthening of Market infrastructure and Marketing development, Infrastructure to promote extension service, Support to Organic and Biofertilizers, Research activities by the State Agricultural Universities, Agro processing, Strengthening of Laboratories for quality control activities, Production of quality planting material of Horticulture crops, Comprehensive Piggery and Poultry Development, Augmenting animal vaccine production, Installation of Rain gauge stations etc. Compensation to families of farmers who committed suicide at the rate of Rs.5.00 lakh per family. 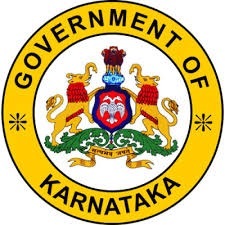 Amount of Rs.2.00 lakh will be provided as compensation to the families of those farmers and agricultural laborers who lose their lives in accidents like falling from coconut /areca trees or snakebite or any other agriculture related accidents and also subsidy amount of Rs.20,000/- will be given for loss of crop/hay-stacks by fire. Productivity Awards to farmers, In order to recognise and encourage such farmers who have achieved higher yields in selected crops, Krishi Prashasthi awards are presented to farmers at state, district & taluk levels. Under this programme, hybrids, high yielding varieties and good quality certified and truthfully labeled seeds of major crops are distributed to farmers at subsidized rates 50% for general farmers and 75% for SC/ST farmers. To enable the farmers to carryout agricultural activities in right time & also to reduce the dependence on agricultural labour, farm machineries are distributed under farm mechanization scheme at 50% subsidy to general category farmers and 90% subsidy to SC/ST category farmers. For mini tractor 90% or maximum of Rs.2.00 lakh subsidy to SC/ST category farmers is given. Agro-processing units and tarpaulins are distributed at 90% subsidy to SC/ST farmers and at 50% subsidy to general farmers. Establishment of Farm machinery Custom Hire and Service Centres at hobli level through registered Charitable Trusts/ Organizations and Societies and Non Government Organizations to help farmers to provide agricultural equipments for timely agricultural operations. It is to extend initial financial assistance for establishment of Agri. Enterprises by using latest innovation/ technologies to assist agriculture and allied activities. It is planned to implement “Agri start-ups” programme to enable farmers to get better access to technologies and markets. The Department of Agriculture, has established organic village site programmes of 100 ha. blocks in all taluks with the main objective of promoting it as an eco friendly sustainable method of farming and optimization on the usage of natural resources. Based on the provisions made under Organic Farming Policy, 2017, “Market Based Specific Organic Crop Cluster Development Programme” is being implemented from 2017-18 in the already certified area with the focused attention to provide proper linkages between producers and consumers by strengthening the supply chain mechanism by supporting activities related to production, collection, grading, value addition, processing, packing, brand development, whole sale and retail marketing of organic produce. Organic farming & Certification: The main objective of this programme is to promote organic farming area by increasing certified organic area in the next 3 years duration and also to focus on market oriented commodity in potential areas to generate bulk quantity of genuine organic produce through the farmers groups to meet growing demand of domestic as well as export market and also to ensure continuous supply of required organic produce to the market. This programme will be implemented through Karnataka State organic Certification agency(KSOCA) on project mode. Functioning of Federation for Marketing of Organic Produce: Fourteen Regional Federations have been established to strengthen and consolidate the gains made through Savayava Bhagya Yojane in 13 hoblis covering an area of 1300 hectares. Federations are proposed to take up collection, grading, value addition, processing, packing, brand development, marketing of organic produce, apart from consumer awareness programme and other activities in order to improve the economic condition of organic farmers through better pricing for organic produces. Training to Farmers/Farmwomen and Extension Personel : Various training programmes are conducted both to farmers/farmwomen and extension officers on latest technologies in agriculture and allied subjects at Disrict Agriculture Training Centers. Common foundation course for Agriculture officers, Assistant Agriculture officers and Agriculture assistants to improve work efficiency are also conducted.